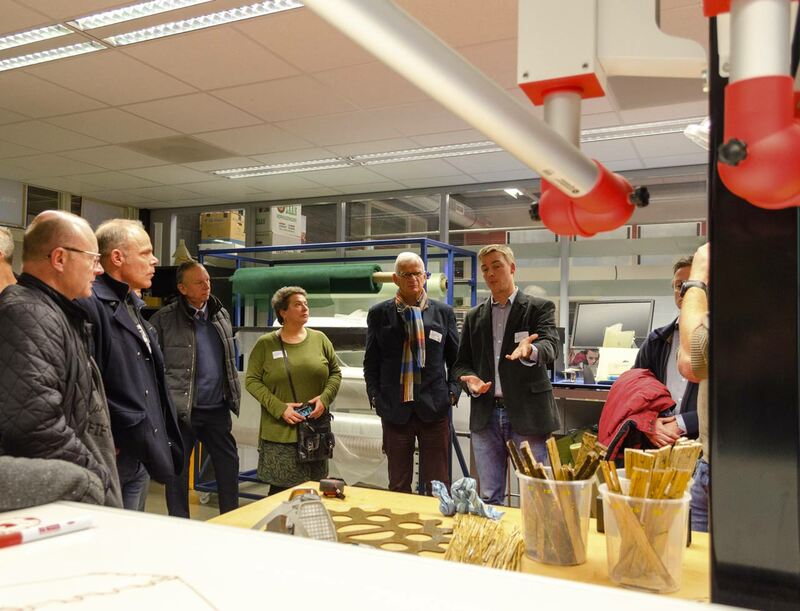 Lecturers Electrical- and Mechanical Engineering of the ROC Horizon College and Inholland Applied University of Science were introduced to part of the composites industry in the Noord-Holland region on November 14 and 15 during lecturers’ internships. The visits to Schaap Composites, 2MV Composites, Rolan Robotics, CPT, Theuws Polyester and Futura Composites aimed to achieve a better connection between the companies with the intention to increase new influx of employees in the medium term. The teacher internship days were organized by Noord-Holland Noord Development Agency (NHN) on behalf of seven Westfriesian councils. The internships are an extra part of the project ‘Valorisation Hightech Sector Composite NH, which is co-financed by the European Union and the Province of Noord-Holland. Composites are increasingly being used as a material in the industry. It is a good alternative to ‘old-fashioned’ materials in terms of weight, energy use and operational durability. Composites are relatively young materials with a lot of added value for a sustainable society in different sectors. The material is gaining territory, and that is what the suppliers are starting to notice as well. They use composites in the construction of interior components, but also in yachts, sports cars and aircraft. The composites sector is developing faster than the inflow of production workers. For this reason the sector and schools meet during the last teacher trainees days. The seven West Frisian municipalities are working together with a Regional Economic Agenda to strengthen the economy in the region. “The project teacher internships in composites is a good example project of which we can be proud of,” says Harry Nederpelt, who holds the portfolio for Economic Affairs of the municipality of Medemblik. The project ‘Valorisation Hightech Sector Composite NH’ is a project of the West Frisian municipalities and the Development Company Noord-Holland Noord (NHN). The participating companies work together in the ERDF project Valorisation Hightech Sector Composites NH, which is co-financed by the European Union and the Province of Noord-Holland.